Despite sustained appeals from many hundreds of individuals and organizations and widespread, ongoing media coverage, the Lao government has yet to conduct a satisfactory investigation into Sombath’s disappearance or provided any explanation for his abduction. There have been repeated enquiries through diplomatic channels and two delegations of parliamentarians to Laos, one from ASEAN and one from Europe. On the 6th February 2013 the European Parliament unanimously passed a resolution on ‘Laos: the case of Sombath Somphone’. The resolution formally calls on the EU to include Laos and the case of Sombath Somphone in its priorities for forthcoming sessions of the UN Human Rights Council. 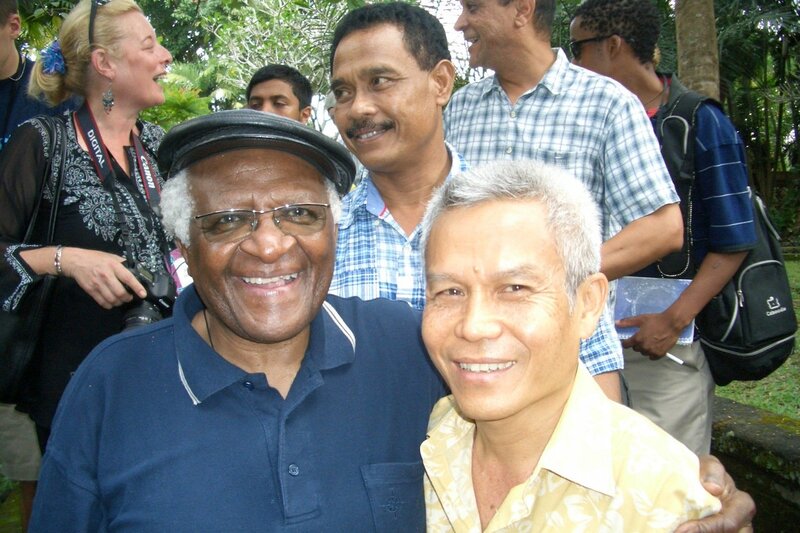 In the absence of the safe return of Sombath to his family, many organisations and institutions and bodies outside Laos, are committed to beginning a new phase of international activity. The members of the International Organising Committee of the Asia Europe People’s Forum are committed to this new phase of activity. There is a deep commitment that from today until Sombath is safely returned to his family that the continuing disappearance of Sombath would begin to preface or even dominate bi-lateral, multi-lateral and international discussions with and about Laos. This could happen with discussion at the WTO, with the Asia Development Bank, at the UN Human Rights Council to name but a few instances. Even, if it is still necessary, in due course it could influence discussions about Lao PDR’s graduation from LDC status. Whilst Sombath has not returned safely to his family, there will be a growing negative effect on foreign engagement and foreign investment in Laos at a time where Laos is deeply committed to developing stronger ties and links. In 2013 there is now a very real possibility that the credibility of Laos will be deeply tarnished with significant negative effects whilst Sombath is not returned safely to his family. In addition to Sombath’s disappearance there are also concerns that there is an increasing perception that the ‘spaces’ for dialogue, discussion and debate on how to achieve more sustainable economic and social development in Laos are becoming constricted. The climate of positive and constructive dialogue that was a part of AEPF9 is felt to have dissipated. This is of great concern and there is a call for positive measures and actions to be taken by the Lao Government to enable a secure environment that encourages learning and reflection and provides space for open, respectful, diverse and constructive debate for people committed to Sustainable Development in Laos. The 9th Asia Europe People’s Forum (AEPF9) took place from 16 to 19 October 2012 in Vientiane. Sombath Somphone was the co-chair of the Lao National Organising Committee and a key note speaker during the Opening Day. He also facilitated the production of the highly acclaimed ‘Happy Laos’ film which was shown at the closing of the Forum. The expulsion of Anne-Sophie Grindroz, the Country Director of Helvetas. An increasing perception that the ‘spaces’ for dialogue, discussion and debate on how to achieve more sustainable economic and social development in Laos are becoming constricted. An increasing number of reports of harassment at the local level of participants in the AEPF9 who have been taking forward initiatives to promote sustainable development. The lived reality for many people in Laos today is in sharp contrast to the rhetoric of the Vientiane Declaration on Strengthening Partnership for Peace and Development agreed at the end of ASEM9. The IOC statement concludes by calling upon the Government of Laos to sincerely and accountably take forward their commitments to enable space for open, respectful, diverse and constructive debate.